Captain Jared Gardner (1768–1849) sold his dwelling on Fair Street—and his share in the New Market and the New Market Cellar— to Dr. Oliver Cromwell Bartlett for $5,000 in 1809, a large sum at the time. 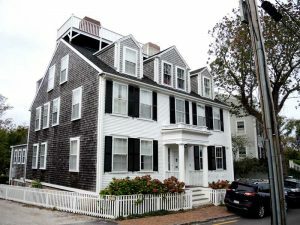 What the New Market was, and where it was located, is not known, but it appears likely that Gardner’s house is the same house that stands at 5 Fair Street today. It is shown on William Coffin’s 1834 Map of the Town of Nantucket, the earliest depiction of houses in the town. In 1819, 5 Fair Street became the property of merchant Samuel H. Macy. He lost the house in a debt settlement judgment to John R. Mitchell in 1826. 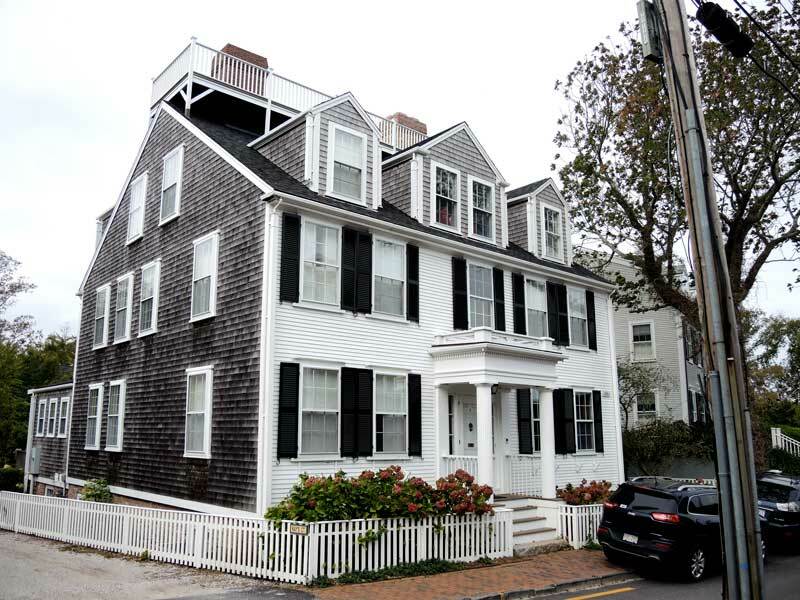 The house changed hands a number of times in the nineteenth century, and was owned by several Nantucket whaling captains: George B. Upton, Francis F. Gardner, and Frederick B. Chase. The longest period of ownership—more than fifty years —was that of Dr. H. Brooks Walker and Mary P. Walker in the twentieth century.